3 functions in one. Hold the mid section, rotate the grip to advance out the function wanted. Fine line pencil with black lead, white ceramic lead or a precision polished, rounded point for tracing patterns or indent marking. Comfortable cushion grip. 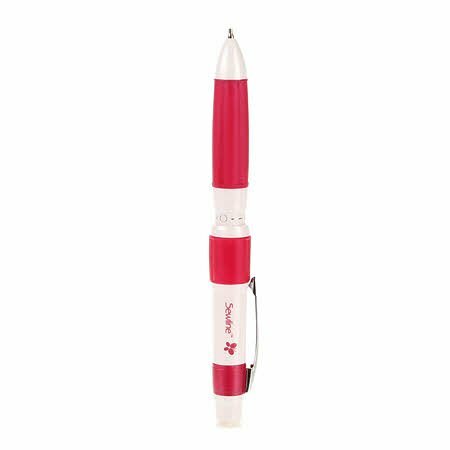 Refillable and with eraser in cap end.